The coffee industry did not deny that the chemical acrylamide was found in coffee, but they argued it was at harmless levels. In 2016, the International Agency for Research on Cancer — the cancer agency of the World Health Organization — moved coffee off its “possible carcinogen” list. The California legal case has been brewing for eight years and is still not over. A third phase of trial will later determine any civil penalties that coffee companies must pay. With potential penalties up to $2,500 per person exposed each day over eight years, that figure could be astronomical in a state with close to 40 million residents, though a massive figure is unlikely. The lawsuit was brought under the Safe Drinking Water and Toxic Enforcement Act, passed by voters as Proposition 65 in 1986. It allows private citizens, advocacy groups and attorneys to sue on behalf of the state and collect a portion of civil penalties. The law has been credited with reducing chemicals that cause cancer and birth defects, such as lead in hair dyes, mercury in nasal sprays and arsenic in bottled water. But it’s also been widely criticized for abuses by lawyers shaking down businesses for quick settlements. Metzger, who drinks a few cups of coffee a day, said he wants the industry to remove the chemical from its process. Coffee companies have said that’s not feasible and would make their product taste bad. Metzger’s group brought a similar case later taken up by the state attorney general that resulted in potato-chip makers agreeing in 2008 to pay $3 million and remove acrylamide from their products rather than post startling warnings that can be found throughout California and are largely ignored. Regulations adopted in recent years now require more specific warnings that list the chemical consumers may be exposed to and list a website with more information. Parking garages, for example, will have to post that breathing air there exposes drivers to carbon monoxide and gas and diesel exhaust and that people should not to linger longer than necessary. 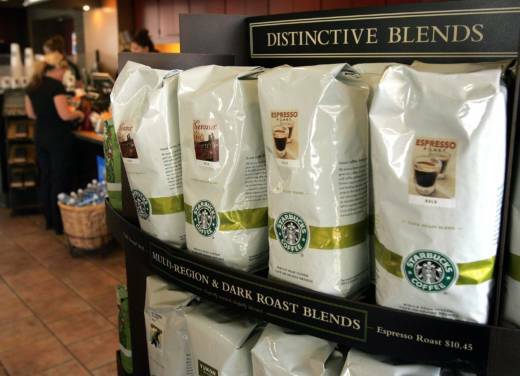 Many coffee companies have already posted warnings that specifically say acrylamide is found in coffee and is among chemicals that cause cancer. However, many of those warnings are posted in places not easily visible, such as below the counter where cream and sugar are available. In the first phase of the trial, Berle said the defense failed to present enough credible evidence to show there was no significant risk posed by acrylamide in coffee. The law put the burden on the defense to show that the level of the chemical won’t result in one excess case of cancer for every 100,000 people exposed. Berle said the epidemiology studies presented were inadequate to evaluate that risk. Nearly half of the defendants in the coffee case have settled at some point during the long legal process and agreed to post warnings, Metzger said. About 50 defendants remain. Among the latest to settle was 7-Eleven, which agreed to pay $900,000. BP West Coast Products, which operates gas station convenience stores, agreed to pay $675,000. Yum Yum Donuts Inc. agreed to pay about $250,000.